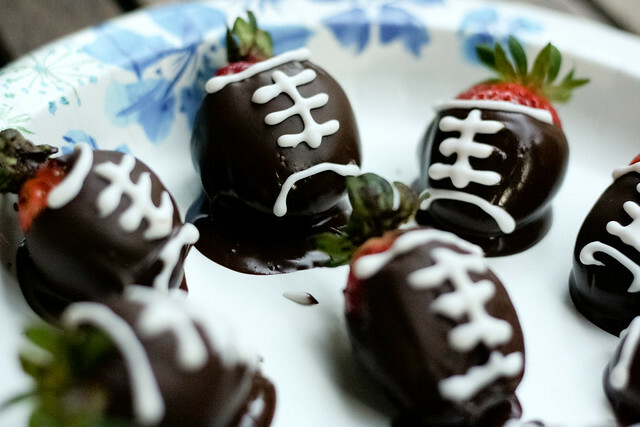 Football season is over, which means that I am really bad about using the internet to my advantage to promote my blog. 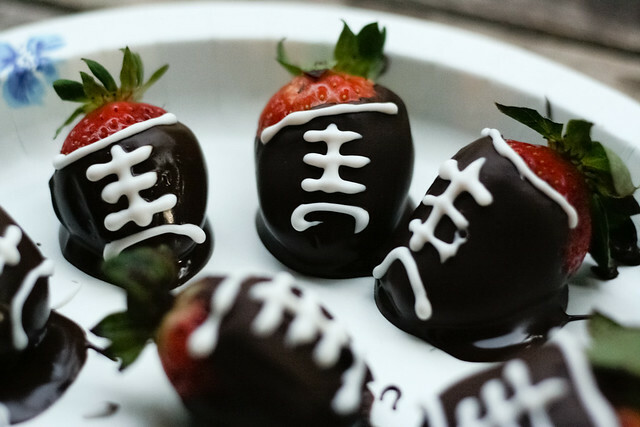 Here is a delicious and simple recipe for chocolate-covered strawberry footballs (original recipe in more detail here). 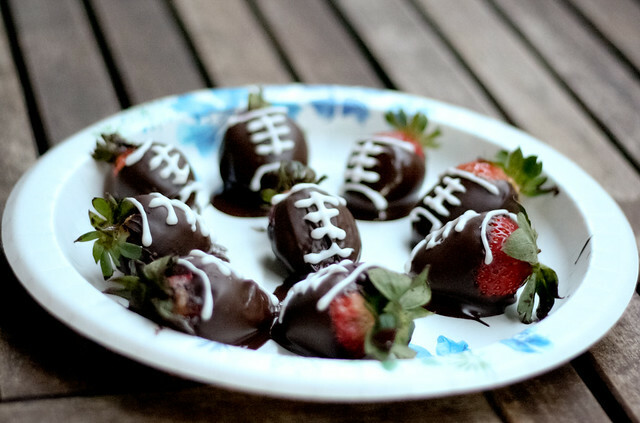 I've decided I definitely have a thing for strawberry-themed snacks; remember my strawberry Santas? ::Microwave the chocolate chips on high for 30 seconds. Remove from the microwave and stir. Repeat as many times as needed until the chocolate is melted and creamy. P.S. Did anyone else get incredibly stressed out at the end of that game? A little tidbit about me: I cannot handle sports. At all. I used to say I hated them, but I eventually came to the realization that I have just been avoiding them because I get so emotionally invested and stressed out, even if I start each game out not caring who wins. I blame the 1998 Vikings. They scarred me for life. Thanks a lot, Gary Anderson (ugh, I'm sorry Gary, I'm just kidding, I feel really bad for you). Anyway. That was a tangent. 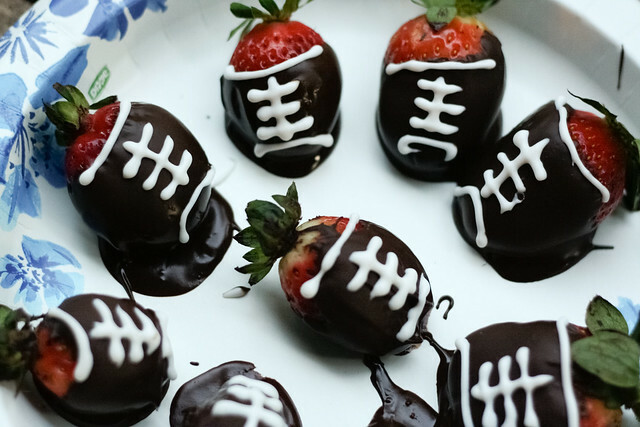 Enjoy the tasty strawberries (and if you're reading this during the 2014 Superbowl, Happy New Year)! DO NOT HEAT IT OVER THE STOVE. We learned the hard way that you need to be patient and melt the chocolate chips slowly and incrementally, because otherwise the chocolate seizes and gets all clumpy and grainy, at which point you're kind of screwed (we tried an un-seizing method, but it didn't work for us).